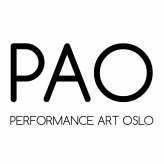 Our collaborative performance practice started in the autumn of 2009 when we studied together at Konstfack’s MA programme Art in the Public Realm in Stockholm. We found out that we had a lot of common meeting points in our work and an interest in time and duration ran through both of our practices. We had both made use of the home, and our view out of windows as a starting point for paying a sort of quiet attention to details, to the passing of time, rhythms and traces in our everyday surroundings. With this time aspect there was also a strong sense of something bodily, to do with perception or phenomenology, with the gaze and with measuring things with the body. We therefore started to collaborate alongside our own individual practices and since then we have created several works that involve a variety of media. There has been a focus on installation, video and sound and the aspect of time, duration and repetition has always been present. The process leading up to the final presentation has been just as, if not more important than the end result. We often experience chaos at the beginning where we experiment in quite a playful way. We also discuss and circle around things, repeat things, get frustrated, laugh, since we both sort of know where we want to go, but before the framework is set, we often fumble, stumble and toss around thoughts, theories and aural or visual fragments. We often carry out exercises of readings, observing, repeating or recording fragments of our surroundings. Often the works evolve slowly and it might take a long time before we know how to make use of our exercises. It might not always lead into a public presentation. For example, we carried out a work in 2012 in which for a whole year we both looked up at the sky at exactly noon each day no matter where we were. However, once the rough framework is set, such as the space or the time-span and when certain parameters in the environment have been taken into consideration, we often know very quickly how to work. Things then fall into place in quite a fast and exciting way. After many years of collaboration, we have developed methods and a core in the work which makes us understand each other and the process very intuitively. Our latest work springs from an interest in the limitations and creative possibilities of language, occurring in disorders such as aphasia and stuttering etc. We have a strong interest in how alphabets and signs relate to spoken language, thinking and seeing. We research this huge area of interest through our intuitive methods of installation, video, sound and text. Last year we have made parts of the work public at the Vandaler Solistice Festival in which a live projected video camera was central in a process of building and reconstructing an installation of glass, mirrors, refracted light and video projections. Later last winter we continued the work at C13 in Hökarängen and in this version, we printed out the letters and sculptural objects entered the process. We also formalised part of the improvisation by adding a script as a central component to the performance. At the time being we are in the process of developing a new installation work for Galleri 21 at Vorwerk-Stift Hamburg. We have visited the site twice already and will make a public presentation and exhibition at the end of November. Q: How do you experience or consider the audience / surrounding? Our installations/exhibitions/presentations/performances (public presentations?) are not interactive in the sense that the audience actively influences the outcome - but the presence of the audience is a crucial part of all our work. We often consider how someone from the audience can walk through an installation and in this sense make their own “cut” in the filmed material. The time aspect is very important also in relation to the audience, most of our works are open-ended and durational and the audience is invited to stay as long or little as they prefer. We’re both interested in how the body of the spectator becomes part of the work and how we through sound, video and performance can emphasise this.